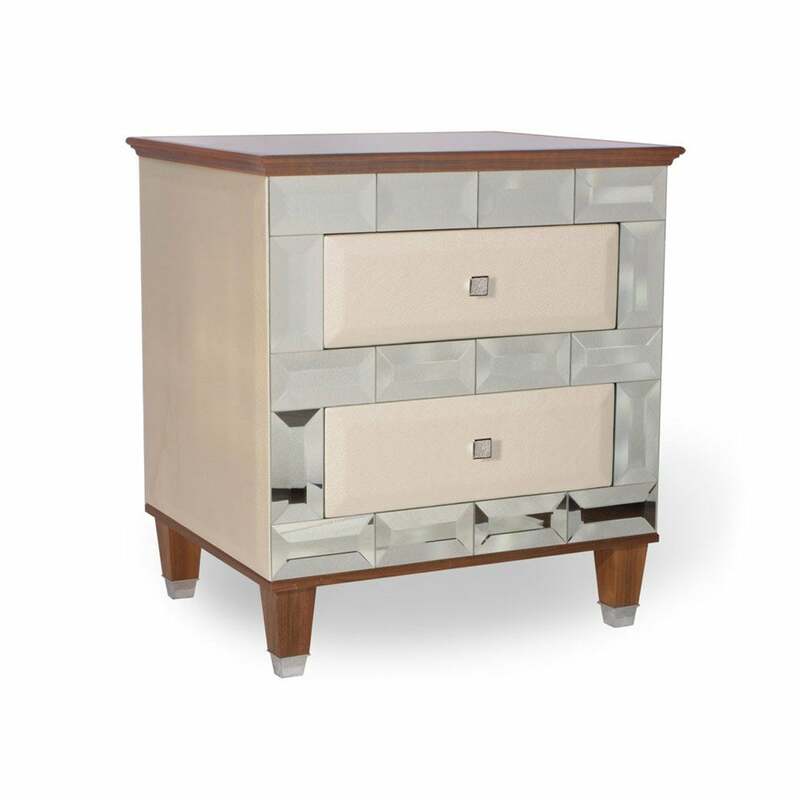 Charleston tiffany bedside in walnut and pearl leather. Beautifully finished with tiffany mirrored tiles, mirrored glass top and square chrome handles. As with all Simpsons pieces, this bedside table has been handmade in England.